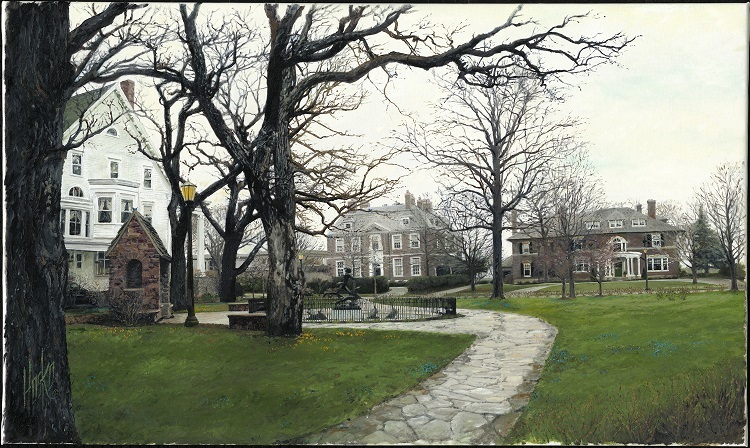 The centerpiece of this illustration is Mears Park which forms the heart of the Lowertown Historic District - the eastern third of downtown where the city’s origins lie, and Galtier Plaza, a towering architectural marvel of condominium and apartment homes with offices on its lower levels. Lowertown was born due to its lower elevation which allowed easy access to and from the adjacent Mississippi River and riverboats - the primary source of commercial and long-distance travel in the mid-1800s. By the late 1800s, they were replaced by railroads which brought even more economic growth. Many of Lowertown’s earliest structures remain. Though the factories and most warehouse businesses are gone, residences, artist’s lofts and studios, offices and many places to dine now occupy these restored buildings - many are on the National Register of Historic Places. 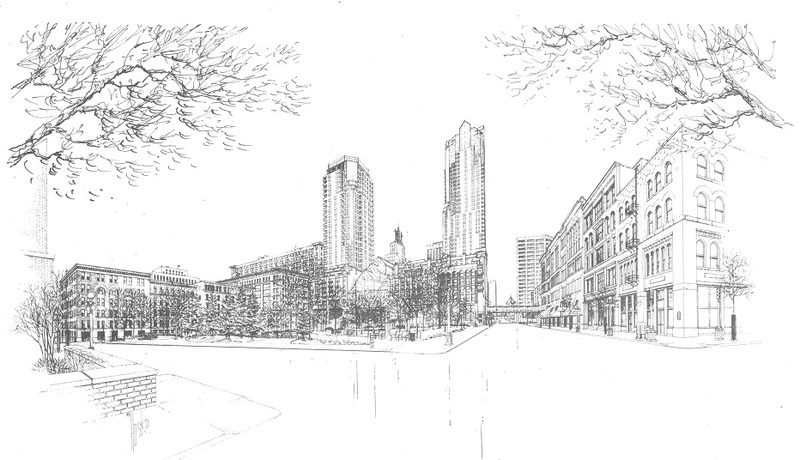 In this illustration left to right: a corner of The Cosmopolitan, Lowertown Commons, Straus Building, 333 On the Park, Galtier Plaza, Mears Park Apartments, Park Square Court and the Railroader Building.